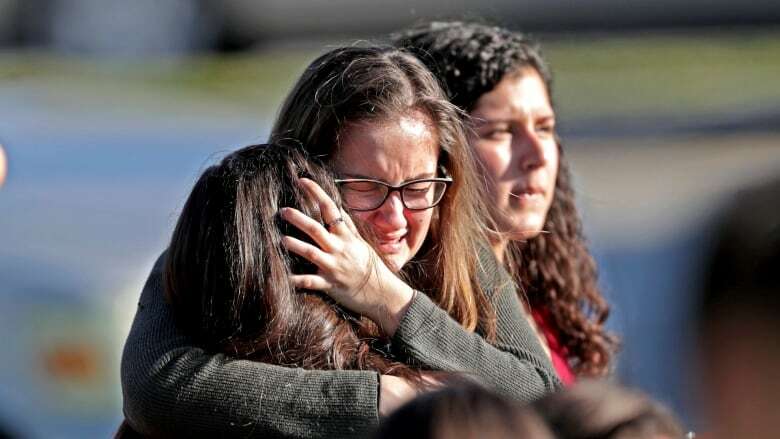 Police say a former student opened fire at a Florida high school on Wednesday, killing at least 17 people and sending scores of students fleeing into the streets in the nation's deadliest school shooting since a gunman attacked an elementary school in Newtown, Conn.
Police said a former student opened fire at a Florida high school on Wednesday, killing at least 17 people and sending scores of students fleeing into the streets in the nation's deadliest school shooting since a gunman attacked an elementary school in Newtown, Conn.
Students who knew the shooter, identified as Nikolas Cruz, described a volatile teenager whose strange behaviour had caused others to end friendships with him, particularly after the fight that led to his expulsion. 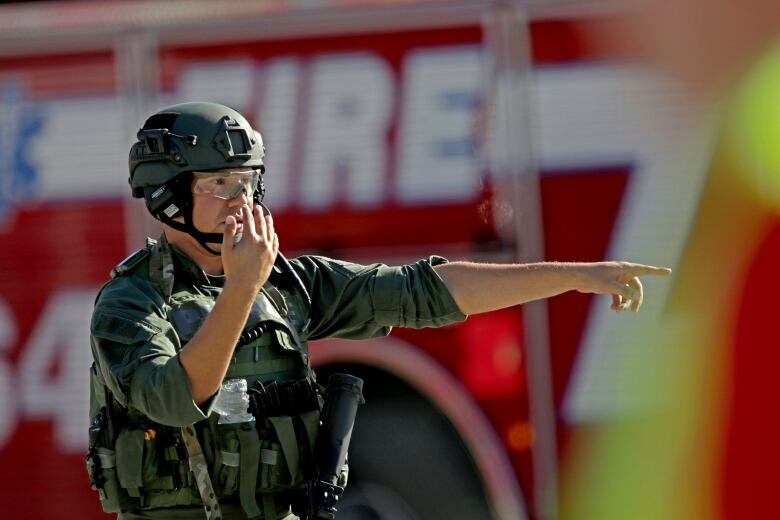 Frantic parents rushed to the school to find SWAT team members and ambulances surrounding the campus as classes prepared to dismiss for the day. Live footage showed emergency workers who appeared to be treating the wounded on sidewalks. 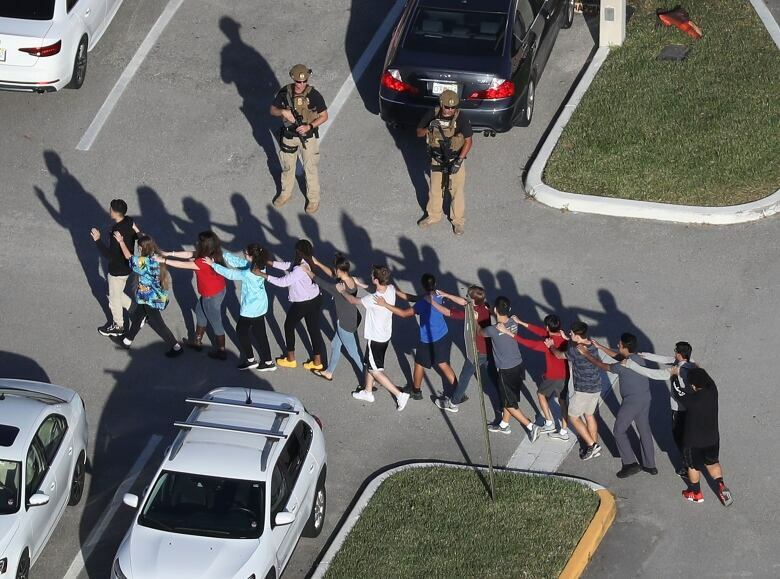 "It is a horrific situation," said Robert Runcie, superintendent of the school district in Parkland, Fla. "It is a horrible day for us." 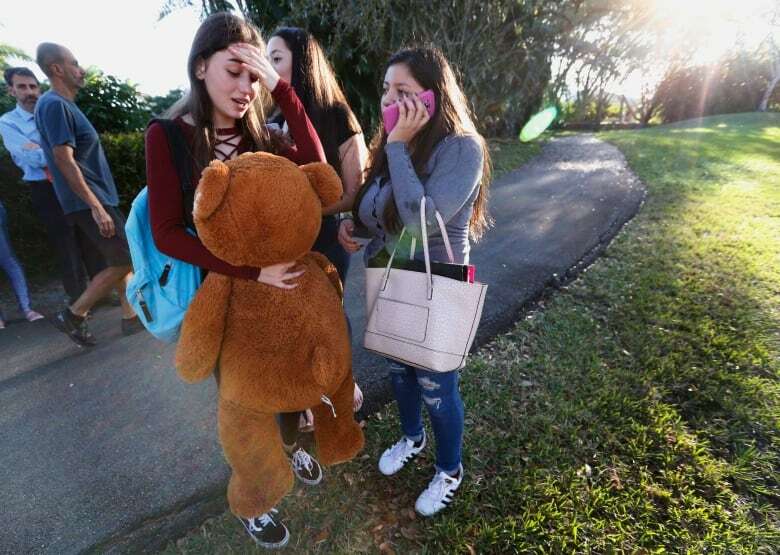 Today we experiencing the worst of humanity as an unspeakable tragedy has hit our <a href="https://twitter.com/browardschools?ref_src=twsrc%5Etfw">@browardschools</a> family at Marjory Stoneman Douglas HS. There has been a shooting on campus with injuries and fatalities. We are working with law enforcement as we pray for our babies and families. The suspect was taken into custody without a fight about an hour after he left the scene, authorities said. The Florida Democrat said he did not know if the assailant used the smoke grenades, but he assumed that's why he had a gas mask on. Victoria Olvera, a junior at the school, said Cruz was expelled last school year because he got into a fight with his ex-girlfriend's new boyfriend. Olvera said he had been abusive to his girlfriend. Dakota Mentcher, another junior, said he used to be friends with Cruz. But he cut off the friendship as Cruz's behaviour "started progressively getting a little more weird." Cruz posted on Instagram about killing animals and threatened one of Mentcher's friends, he said. Cruz "was that weird kid that you see … like a loner," he said. "I was happy that I was alive," Charles said. "She was crying when she saw me." Just spoke with <a href="https://twitter.com/POTUS?ref_src=twsrc%5Etfw">@POTUS</a> about shooting at Marjory Stoneman Douglas High School. My thoughts and prayers are with the students, their families and the entire community. We will continue to receive briefings from law enforcement and issue updates. "All I heard was 'Get on the ground! Get on the ground!'" Nembhard said. He said he could not see the young man's face, but that he got on the ground without incident. "My wife called me that there was an active shooter, and the school was on lockdown. I got on the road and saw helicopters… It was crazy and my daughter wasn't answering her phone." She finally texted him that she was inside a closet with friends. 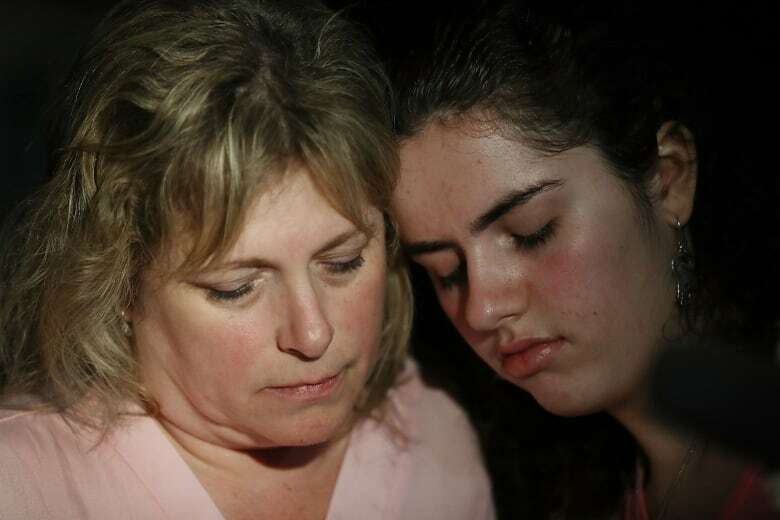 Len Murray's 17-year-old son, a student at the school, sent his parents a chilling text: "Mom and Dad, there have been shots fired on campus at school. There are police sirens outside. I'm in the auditorium and the doors are locked."